If you wish to give yourself a serious fright Google ‘Ships in Storms’. You’ll find on-board videos filmed by crew or from aircraft overhead. One reveals a ship almost vertical and so buried under mountainous seas and ferocious wind-driven spray that only the upper section of the bridge and the top of the mast is visible. Another reveals a giant fully-laden tanker with waves so forcefully crashing over it that only the foremast is visible from the bridge. Others show a line of bulbs deep down in the hull revealing what in calm waters is a clean straight row of neatly aligned lights but in storm conditions they’re a lively twisting swaying akin to a dancer on a stage. You’ll see those giant monoliths of the sea – the cruise ships – tossed about like a tantrum-driven child’s toy. These images place into perspective the occasional blunders we make when visiting crew on board their ships in the tranquility of the port. We knock our shins on the storm-steps – or tap our skulls on the occasional bulkhead –mishaps that may cause us a sharp pain and an utterance that could not be interpreted as the collect for the day yet compared to the hazards faced by seafarers they are less than nothing. Seafaring has a long history of considerable danger, inadequate safety, exploited workers and high profits for a small but immensely powerful group of owners. It is one of our most essential industries without which the world could not function; people could not be fed, clothed, protected or supplied with essential industrial material or manufactured goods. The four million seafarers who sail the world’s commercial fleet are a highly skilled, technologically savvy, disciplined company of men with a small but increasing number of at least equally capable women. They manage ever-larger multi-million dollar vessels in continually changing hazards. We meet crew who’ve crossed the wild Tasman waters with very little sleep nursing bruises from sharp and continually moving edges while they maintain the ship’s navigation and engineering, its cargo and equipment. Yet we are not appealing for sympathy and the seafarers we meet are the last people to seek it. They and we do seek recognition for the significance of their role in our lives, for a just and fair system of work, payment and leave. 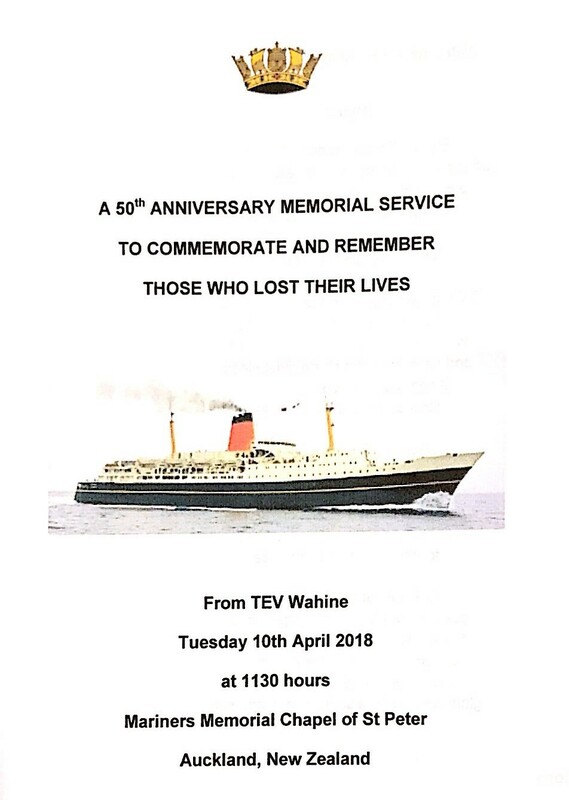 They rely on the 300 seafarer missions throughout the world to provide for them a safe place ashore, opportunities to contact their families, to engage in a game of pool or table tennis and to change their US currency into the local equivalent at fair rates and to remit money home to their families. Seafarers appreciate the books and magazines we have for them and many have a standing order from wives, daughters, sister and mothers for copies of the women’s goss magazines, national geographics, for children’ projects – just about anything really except gardening mags and local newspapers. Some local churches are knitting beanies out of leftover wool in a variety of colours. These are warm and stay on in high winds – lose a hat at sea and unless you’re Jesus you can’t just run across the aquatic park and pick it up again so if you like knitting or have unwanted magazines then do contact one of us. There will always be hazards to the seafaring life, the loneliness of separation from home and family is a more obvious source of distress – and one of our delights is to be introduced through Skype and Messenger to the families of seafarers in living rooms, kitchens and for some tiny all-in-one apartments to meet partners and children, grandparents and friends across the oceans – to see a nine month old babe whom the father has not yet held in his arms is to be acutely aware of the high price paid by those who bring us the world’s goods and take ours away to pay for at least some of them. To live on board a ship for ten months of the year is a kind of mobile house arrest while watching over a complicated machine that demands continual skilled attention. You cannot choose your companions so you must become adept at living in close quarters with people of a different races, language, culture, philosophy and religion whom you may not have chosen as friends. It would be a test of our Christian grace if, as congregations, we all had to live together for 10 months of the year with an occasional dash to the Mall every 10 days to make contact with home. For the most part seafarers learn very well to live with each other. In many ports the opportunities ashore are limited by security concerns, the demands of on-board duty, and ever quicker turn-around times. The growing burden of piracy becomes a concern for us all and especially for those seafarers travelling through parts of South-east Asia or off the African coast. These are not the swashbuckling anti-heroes like Peter Pan’s Captain Hook and certainly not Johnny Depp’s Pirates of the Caribbean setting out to rescue damsels dark and fair that distress themselves in the presence of their hero. These are powerful criminal gangs who kill without conscience and attack ships with high-powered rifles, rocket and grenade launchers and military assault weapons, holding both ship and crew to ransom. The weakness of international law and the problems of enforcement create easy opportunities to exploit the vulnerability of crew and ships. $250 million was paid out in 2010 to Somali pirates alone to rescue these multi-million dollar vessels, their cargo and crews. In desperately poor countries crippled by inadequate government, organised crime and religious extremists, piracy becomes a lucrative temptation to succumb to. Indirect costs are much higher and estimated to be between 7 to 12 billion dollars per year in disruption and related costs as they also include insurance, naval support, legal proceedings, re-routing, and other protective steps taken by ship-owners – expenses reflected in increased freight and insurance costs for which we all ultimately pay the premium. While significant steps are being taken internationally to combat this scourge the stress on seafarers continues in these risky waters. There are many of you here today because you are supportive of seafarers and have long been sensitive to their needs. Some of you know well the joys and snares of life at sea, you know the fear you can experience, the wonder at the fantastic interplay of sea and sky, of light and dark, storm and calm that give the wide ocean its hypnotic appeal, you know the camaraderie among shipmates, the multinational community in harbours and ports world-wide. Today most ships to New Zealand are crewed by people from China, The Phillipines, Eastern Europe and other parts of Asia and the Pacific. Although pay and conditions have improved significantly seafarers continue to tolerate what we would not accept ashore so as seafarer centre staff we seek to make our contribution to the work of maritime safety groups, seafarer unions and shipping agents to advance goodwill and justice for seafarers. As staff, voluntary staff and chaplains working with many nationalities we can quite easily make ourselves misunderstood in 30 languages yet there is a communication of grace and goodwill that transcends the limitations of words. We appreciate the support we receive from our Catholic, Anglican and Protestant church communities, we are happy to address congregations, church and community groups on our ministry to remind the nation that these modern-day nomadic seafaring tribes are an integral part of God’s creation and care, vital to the economy of the country. To a community that believed that the wealth of the rich was proof of their high ranking in God’s esteem and that the poor were the victims of God’s displeasure Jesus’ quotation from Isaiah 61in today’s Gospel would be a challenge to everyone in his home community of Nazareth. The final stage of oppression is when its victims believe that that is where God wants them and to question their status is to challenge the authority of God – While we may be tempted to think this thinking belongs only to heretical sectarians of all faiths it was central to English Church doctrine just a century ago. Jesus utterly rejected this doctrine and made many angry in doing so for challenges to the social order threaten predictability which for many equals both security and power; Jesus invites us to seek our security in the affirmation of God’s love and our belonging in the divine family not in automatic conformity to current social or religious patterns. We are therefore compelled by the Gospel imperatives to pursue equity for all who are denied it. Today’s Lesson re-states God’s direct connection of the acts of creation with those of liberation. Freedom is, therefore, both personal and collective and fundamental to the Christian faith and common humanitarianism. How shall we bring justice to others if we are not ourselves just in our own lives? How do we bring the grace of God to others if we do not know it personally? Yes, we are, in Henri Nouwen’s phrase, “wounded healers’ – on the same journey as those with and to whom we minister to receive and share the love of God. With you we are privileged to live and share this Gospel message of liberation and freedom, of good news and salvation among people of many religions and belief systems always showing respect for the faith that our seafarers hold while seeking to live the love of God and give an honest answer to those who seek one from us. An understanding of the nature and character of God is basic to our practice of faith.It may seem impertinent at the least to consider writing a character reference for God! I have discovered already that there are those who disagree with my personal reference which is where I am in the journey of unfolding insight and grace that might have a more universal application. never refuses mercy, never remembers what is forgiven, never justifies evil, never withholds love, never causes suffering, never condemns any person, never abandons anyone never forces anyone to accept the gifts of grace. Here I believe is a vision of God that can open doors and inspire responses. To conclude; as you see the container ships or bulk tankers or fishing boats or cruise ships coming and going across the sparkling waters of the Waitemata and the Manukau remember the men and women who crew them, offer a prayer of thanksgiving for the contribution they make to our life and pray for them and their families and for those of us from The Apostleship of the Sea, the Mission to Seafarers and the Sailors’ Society who minister together from the Auckland International Seafarers Centre in Quay Street. Together we bring the Gospel ministry of hospitality and grace, of challenge and love to God’s people, our seafarers whom we are honoured to serve.